Want to get more hits on your website? Want to translate your website into different languages? Use Google Translate to translate your website into different languages. 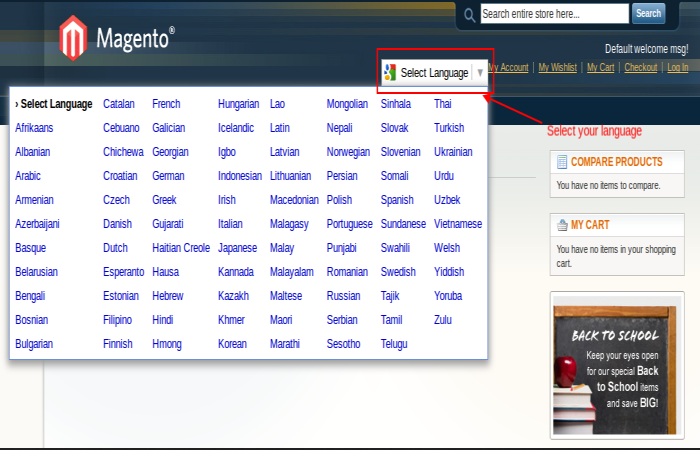 Google Translate Integration Magento extension allows to translate website to more than 50 languages. 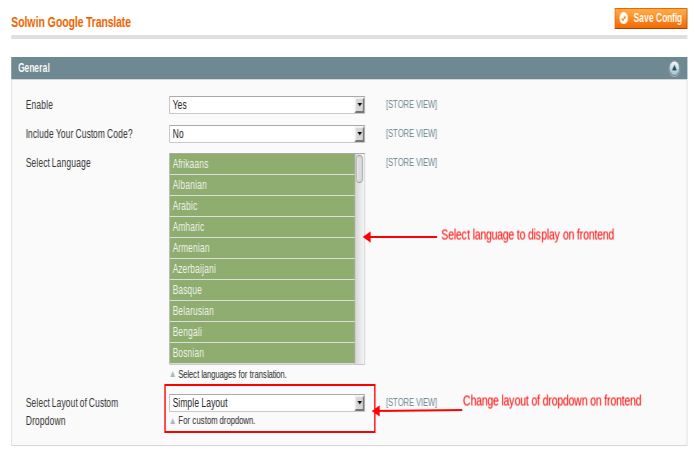 You can add your custom code snippet or select specific languages and layout option. You will get your custom code snippet from https://translate.google.com/manager/website/. Admin can enable or disable this extension at any time from back-end. Admin can enable this extension from Admin -> System -> Configuration -> Solwin -> Solwin Google Translate. Google Translate Integration extension allows to translate website to more than 50 languages. I’ve been using this extension for some time already and completely happy with it. The support answers quick and is very helpful…Thank you! Thanks a lot for great extension. It works properly for me. my second store language is Swedish language. It translate as well as human language translator. Thank you for your wonderful item! 1) Go to Admin -> System -> Configuration -> Solwin -> Solwin Google Translate. 2) Select Enable to Yes. 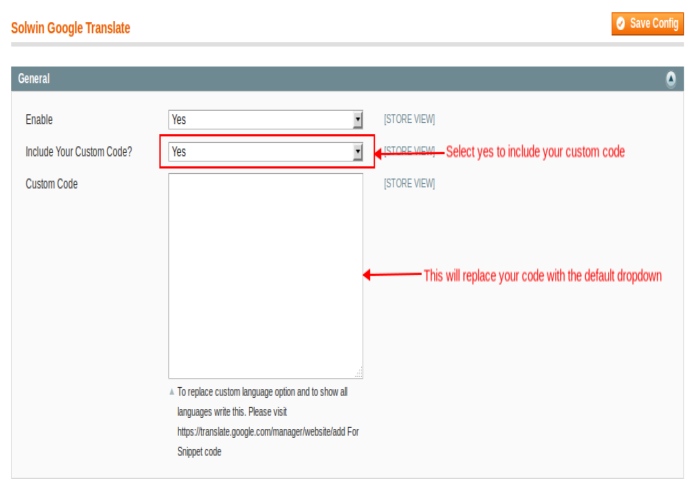 Add your custom code snippet OR specify your languages and layout option. 3) Save changes and clear cache. Can i select my specific languages? Yes. This Extension provides option to select specific languages. Yes. This Extension provides option to change layout. 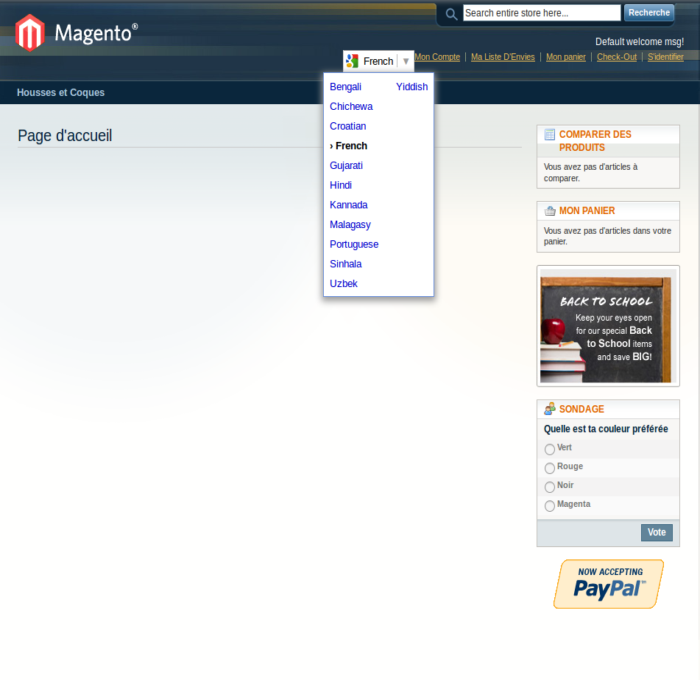 This Extension is compatible with Magento 1.9.1.1 CE? Yes. This Extension is compatible with CE 1.9.1.1. Go to Admin -> System -> Configuration -> Solwin -> Solwin Google Translate. – Select Enable to Yes. Add your custom code snippet OR specify your languages and layout option. – Save changes and clear cache.